No matter the season or time of the day, there’s something for everyone in Yumbo Centrum. Encompassed by three tourist giants – Playa de Maspalomas, Playa del Inglés, and San Agustín, it is the entertainment vacationers can’t get in the sands and seas. With 20,000 square meters housing more than 200 bars, restaurants, and shops spread across four floors, it is the go-to place for leisure when in town. It is impossible to miss Yumbo Centrum when in Maspalomas. Since opening in 1982, it has been the busiest and liveliest part of the town that rivals even the beachside. How can it not? Almost everything a holidaymaker would want to do, buy, eat, drink, and see are within the property. Not to mention, it is open 24/7 to add color and excitement to everyone’s day or night. To say that Yumbo Centrum has plenty of restaurants is an understatement. It is literally the United Nations of cuisines. Furthermore, most of them are the best ones to represent their countries’ cooking. Whatever menu the palate demands, be it Belgian, Chinese, Danish, English, German, Indian, Italian, Spanish, or others, the plate that will satisfy is undoubtedly within its four floors. LoLa, for example, serves excellent Mediterranean food at mid-range pricing. It is also arguably the best restaurant in Playa del Inglés. As an option, there’s Restaurante Pizzeria Centrum. Aside from delicious pizza and other Italian favorites, they also offer vegetarian dishes. When it comes to affordable eats, Buddies Bar serves the tastiest British plates. What’s more? They have a wide array of drinks and cocktails that pair perfectly with their food. Sweet tooth need not look far as well. Cafe de Paris is known as one of the town’s best dessert places, and their coffee is must-try too. Yumbo Centrum is a paradise for all types of shoppers. It is also a favorite of people who love luxurious brands. Due to the Canaries’ taxation system, considered the best in Europe, items such as fashion pieces, jewelry, and perfumes are way cheaper here. There’s also a bounty of bazaars where haggling skills are put to good use, and budgets can be stretched. Necessity shoppers are in the right place too. Called “supermercado,” the supermarkets here are quite extensive and have all the essentials. When on vacation, shopping for souvenirs is a must. If all the shops and bazaars still don’t do it, come in at night for some arts and crafts. By sundown, the central area of Yumbo becomes a harbor for traveling hawkers and artists. Tourists can choose from pre-created artsy items or one custom made for them. Paintings, portraits, and jewelry are a few of the most sought after. As soon as the night sky appears, the family-friendly Yumbo during the day retires as if it never existed. Bright neon signs take the place of the sun and light up the building. Barrels of booze roll in along with loud music transforms it to become the party capital of the Canaries. This side of the town is the liveliest as soon as the clock strikes 7 pm. Along with loud music and intense lights, establishments must have individual character too. Yumbo is home to about 20 gay-friendly businesses, and their concepts make them stand out. Ever heard of fetish bars, dark rooms, and leathers? Yes, these types. The most popular gay bars and entertainment lounges are Adonis, Junior, Ricky’s Cabaret Bar, Sparkles Show Bar, and WunderBar. For those who just want a night over cocktails and music, try Eiffel Bar and Mystique Bar. Have fun, be open to new things, and keep an open mind. Yumbo Centrum is a round-a-clock wonderland for vacationers from all walks of life. Thus, there are hordes people with different preferences and interests. The diverse crowd also makes it an excellent place to people watch. While at it, taste different cuisines every meal, shop ‘til you drop, wake up to bar-hop all night and see drag shows too. From the Santa Catalina bus station in the capital Las Palmas de Gran Canaria, take bus line 30 to Playa del Inglés. It will go down the motorway and give its passengers a beautiful view from north to south. The travel takes around 40 minutes, and Yumbo Centrum is one of its many stops. Tourists, though, can opt to be dropped off at the bus stop nearest to their accommodations. It’s impossible for anyone who has been to Maspalomas not to have heard or visited Yumbo Centrum. Already a tourist attraction on its own, it’s a must-visit to experience what the town has to offer fully. Many of its excellent restaurants, bars, cafes, shops, and other establishments are here. It’s for the kids, parents, women, men, queer, shopaholics, foodies, and anyone who wants to have fun. Most importantly, it has something to offer any time of the day. 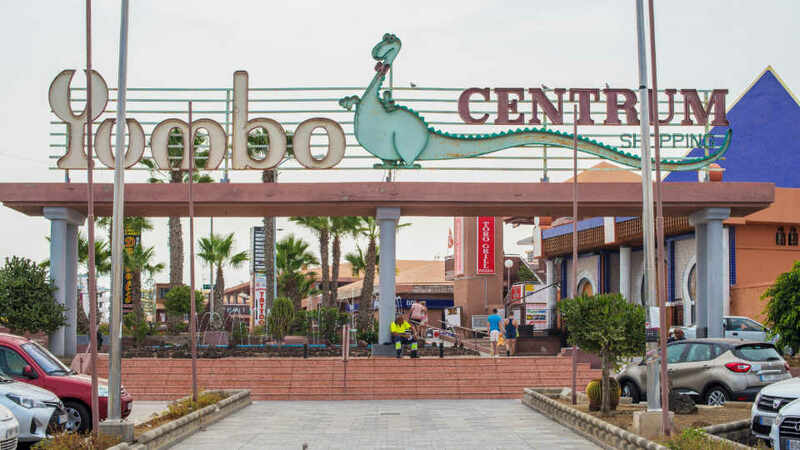 A Maspalomas vacation simply isn’t complete without a bit of Yumbo Centrum adventure.